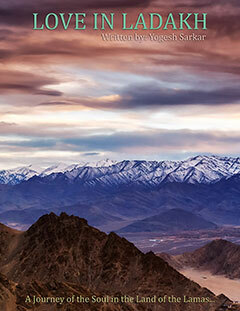 There are restaurants we fall in love for their cuisines and there are restaurants we love for their view and ambiance. 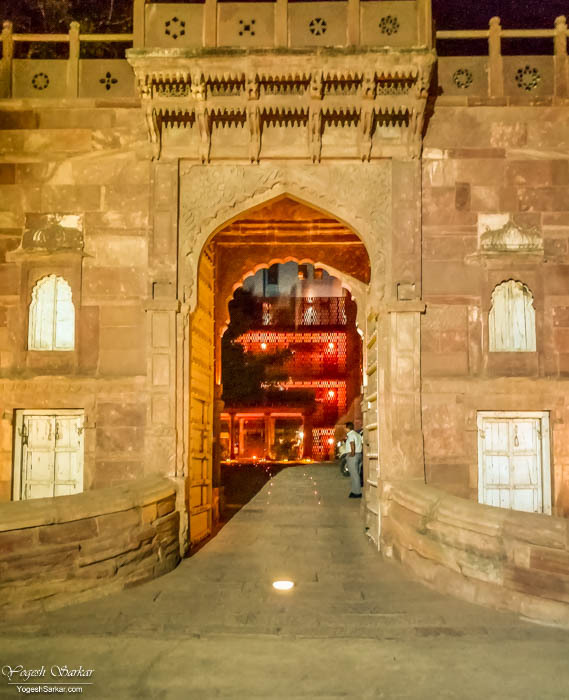 Then there are restaurants like Baradari in RAAS Jodhpur, where I fell in love with not only the food but also the ambiance, a stunning view of the Mehrangarh Fort and a soothing background score provided by… well, I’ll get to that later. First a little background. I had visited RAAS Jodhpur for dinner in December 2015. However, since I didn’t have reservations, I couldn’t eat there and had to go somewhere else. Fast forward to February 2018, and Mansi and I were roaming the streets of Jodhpur, searching for a souvenir or two, to take back home. 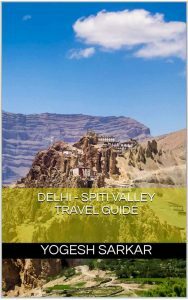 Having already eaten the famous shahi samosa and pyaaz ki kachori, we weren’t that hungry. 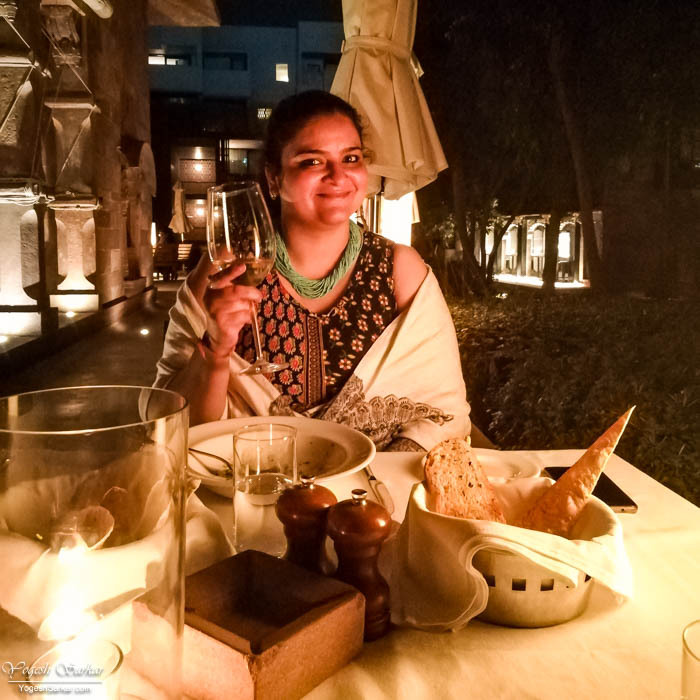 Yet, Mansi insisted on visiting the RAAS, so that she too could see the Boutique Heritage Hotel, I had been raving about, ever since we started planning our Rajasthan trip. After walking for 10 minutes, we were at RAAS and this time too, without reservation! Thankfully though, they had a table available for us at their Baradari Restaurant, which is in the courtyard of the 18th century Haveli that RAAS is based in. Walking in, we were in awe of the view and the serene romantic atmosphere of Baradari and were more interested in the beauty around us, than ordering food. One thing that really impressed me was the neutral scent at Baradari. In India, we are used to having our smelling sense constantly bombarded by a variety of odors. Here there seemed to be none, all that I could feel was refreshing air, in the midst of the old city of Jodhpur with a soothing background score that left me a little perplexed. Arshad was our server, a friendly local lad who not only did his job courteously and promptly but also made us aware of RAAS, Jodhpur and eventually put to rest the mystery behind that constant yet soothing sound, when we chatted for a few minutes after dinner. Needless to say, we were thoroughly satisfied with the service at RAAS. 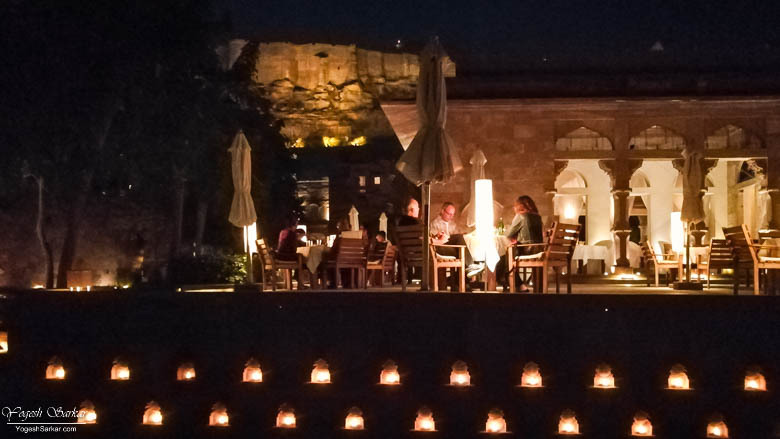 In keeping with the serene and romantic ambiance, Baradari is dimly lit and we were given torches along with the menu, while ordering food and drinks. It was a quite unique experience, going through the menu with torchlight in hand. Since we weren’t all that hungry, we ordered a Heineken, a glass of Tarapaca Chardonnay (white wine) and Homemade Tagliatelle Pasta split in two. Homemade Tagliatelle Pasta was delicious and even though it was split in two, we both felt that quantity was a little less. For dessert, we decided to order the Trio Sweet Platter. However, since Mansi doesn’t like chocolate, I told her we should order rasmalai, while she insisted I order the chocolate pudding because I like chocolate! Arshad put our little argument to rest and offered to bring 4 desserts on the platter instead of 3 i.e. 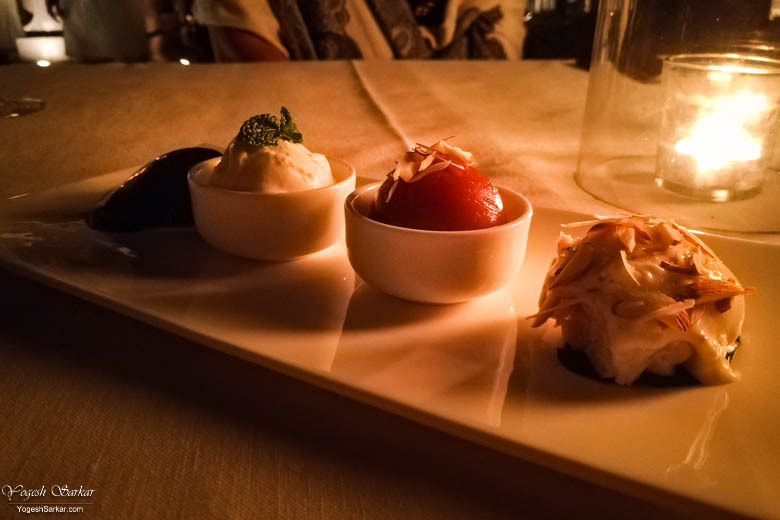 Chocolate Pudding, Rasmalai, Gulab Jamun and Ice Cream. The chocolate pudding was delicious, ice cream refreshing, rasmalai absolutely delicious and gulab jamun? Well, it was the best gulab jamun I have ever had in my life! It was really soft with just the right amount of sugar and I loved it! I absolutely loved it! After finishing off our dinner, it was time to head back to our hotel, but not before chatting for a few minutes with Arshad, who told us the sound we had been hearing, was from the frogs! In the lotus pool running through the courtyard, there are frogs which help keep the water clean and produce such wonderful music! Majority of the people think the sound is being produced by hidden speakers in the courtyard, but that isn’t the case! Initially, that is what I thought as well, so I decided to shoot this short video in order to record their sound, which sounds much-much better and soothing in person than in this video. The bill for our dinner (Himalayan Water Bottle, Heineken, Tarapaca Chardonnay, Homemade Tagliatelle Pasta and Dessert Platter) came out to be Rs. 3,099, including taxes and 10% service charge. Even though this was the most expensive meal of our trip, it was also the most memorable. 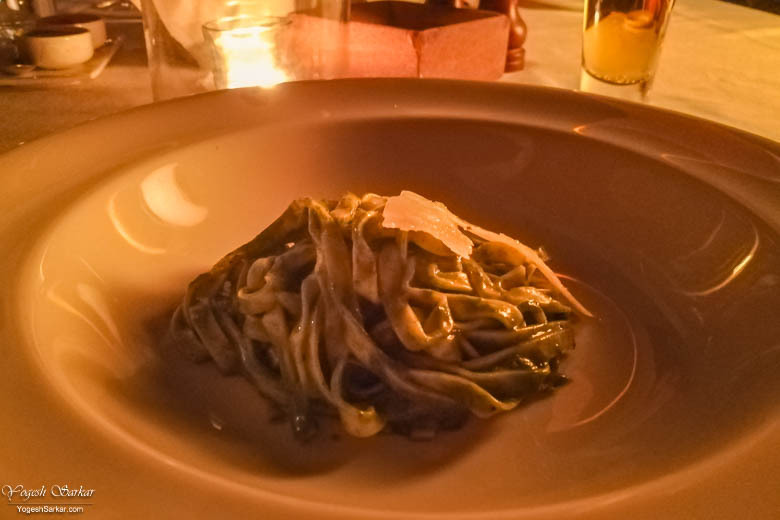 Not only due to the food and service, but also due to the ambiance and the experience, which was simply amazing! 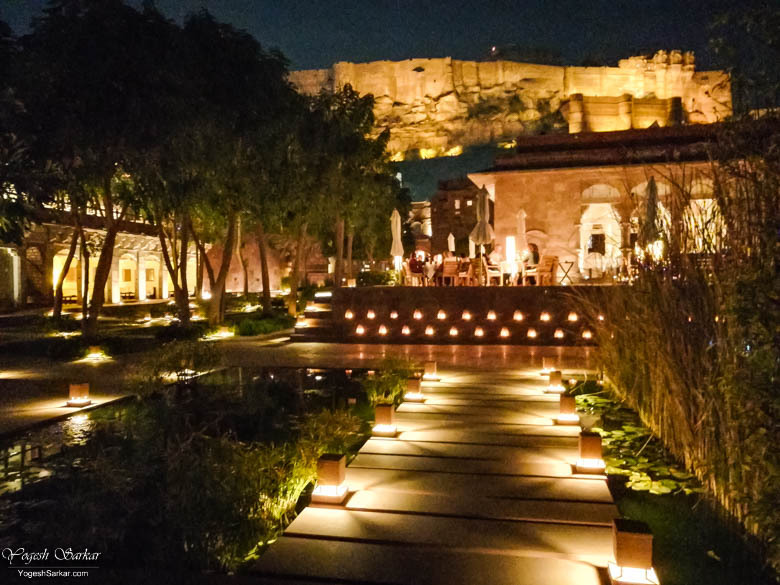 I can’t wait to visit Jodhpur and RAAS once again, for I have fallen in love with the city and this Boutique Hotel and its wonderful restaurant.